If you were watching the final round of the Waste Management Phoenix Open on Sunday, you may have heard Paul Azinger talk about one of Rickie Fowler’s drives that measured 344 yards. That’s beyond comprehension for us mere mortals, but Azinger revealed that it was only the 80th longest drive of the tournament. By now, of course, that kind of data goes in one ear and out the other. Long distance in the pro game has become white noise. Par 4’s over 500 yards and par 5’s that can be reached with a driver and a wedge are all too commonplace on the men’s professional tours. It’s turned the PGA Tour into a weekly birdie-fest, where daily tallies regularly dip into the low 60’s and winning scores push 20-under or more. Courses are defenseless against the onslaught. Par doesn’t mean much any longer. And more and more, I’m hearing from avid golfers that they can’t relate to the game they’re playing. It’s just bomb-and-gouge, bomb-and-gouge. One of the things that attracted me to golf when I was quite young was the purity of the game. Maybe I didn’t explicitly understand it at the time, but I was a puny kid - fast enough on skates to avoid being crunched but a certain casualty if I ever strapped on football pads – so I gravitated to non-contact sports like golf and tennis where you didn’t have to be big and strong to compete – you just had to be good. Golf was a game where skill was fairly rewarded, there were no short-cuts, and much to my delight, you could beat the big strong kids too. Most importantly, I understood that I could hit the same shots as the best players in the world. Maybe not all the time - but every once in a while, I could pure a 7-iron 150 yards, just like Jack Nicklaus did when he won the 1963 Masters Tournament. I was just a kid then, playing with a hand-me-down set of clubs and making what I considered a fortune caddying at Credit Valley Golf Club in Mississauga. Caddies were allowed to play every Friday morning before 8 a.m. and a bunch of us would routinely gather at the Caddie Masters hut, then head out on the dewy course to do our best impersonations of Jack, Arnie and Gary. Initially, the swings were wild and vicious and the results disastrous, but eventually we learned to tone things down and exert a measure of control over wound balls that had more side spin than an 18-wheeler on black ice. Occasionally, someone would hit the ball long and straight and everybody would laugh and yell that it was just like Jack (or Arnie or Gary). The idea that a 7-iron goes 150 yards has stuck with me my whole life. I can’t recall the name of the announcer at that long-ago Masters, but I’ll never forget him saying that 150 yards was Jack’s stock 7-iron. Years later I also heard an announcer say that most PGA Tour pros only swung about 85% so they always had something in reserve. It didn’t occur to me at the time to put those two statements together and conclude that Jack could probably hit his 7-iron 170 yards if he wanted to. I was just excited that by the time I reached my early 20’s, I too could hit my 7-iron 150 yards pretty consistently. Just like Jack! Technology today has enabled all of us to hit the ball longer than we did, but it has also allowed the best golfers to hit shots that we can only dream about. Comparing our game to what we see on TV now is laughable. Anyone who has ever played in a pro am knows that the pro tees it up 50, 60 or even 80 yards behind you and still out drives you. So, maybe you ask, why does that matter? It matters because skill is being eroded as a key component of success. The pro game has been turned into a long-drive contest. You may argue that distance is a skill too and you would be right. However, it has become such a huge part of scoring, that all the other skills fade in comparison. You could also argue that today’s players are more fit and modern agronomy on Tour allows for more roll. Correct again. But golf is supposed to be a game of many skills, not just one. The sole focus on distance has turned the pro game into a pitch-and-putt. Not for us bunters and chops, of course, otherwise masquerading as regular golfers with swing speeds south of 100 mph. I’ve never complained that my shots go too far. But then I’m not airmailing penal fairway bunkers or driving par 4’s, either. Anyone who has ever stood behind Tiger Woods or Dustin Johnson when they unleash a drive completely understands. It’s a different sound than you or I can make. 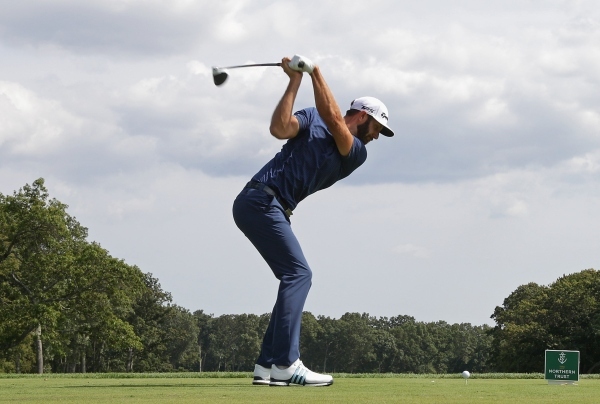 The ball rockets off the clubface, climbs into the stratosphere and is lost from sight. It’s an awesome spectacle. Golf is hard, which is one reason I love watching the U.S. Open. Players struggle. I can relate to that. They make bogeys and even bigger numbers. I can relate to that too. Every one of a player’s skills is tested and ultimately par means something. Every week doesn’t have to be as hard as the U.S. Open, but Tour venues can’t all be pushovers either. To thrive, golf needs to attract new golfers and better engage the casual ones. To make that connection, golf on TV must be relatable to what the average guy can do, or at least realistically aspire to. Golf is a better game to play and watch when all its skills are on display.